As the world’s foremost malt whisky club, the Scotch Malt Whisky Society — specialists in single cask, single malt whiskies — is the perfect partner for this special Scotch Malt Whisky Trail Tour on the Belmond Royal Scotsman. Guests will enjoy the company of a Society Whisky Ambassador on board throughout the journey, along with the Society’s exclusive and rare malts for sampling and discussion. IRT Exclusive: Click here to see our video of Society President Eleanor Hardy’s trip on the Belmond Royal Scotsman. The Belmond Royal Scotsman departs Edinburgh Waverley Station and travels north across the Firth of Forth over the magnificent Forth Railway Bridge. Afternoon tea is served as you journey through the former Kingdom of Fife. A dram of whisky and a fascinating introduction into the world of Scotch will set the mood for the journey. The train continues east along the coast, passing through Carnoustie, Arbroath and Aberdeen before arriving in the market town of Keith in the heart of the Speyside whisky region. After an informal dinner, relax over coffee in the Observation Car, and enjoy traditional Scottish entertainment by local musicians. Departing from Keith this morning, the train travels west towards Inverness, capital of the Highlands. Disembark at Muir of Ord to visit Glen Ord Distillery, one of the oldest in Scotland. Enjoy a private tour of the distillery as well as a tasting and nosing session, including an introduction to the smooth-tasting, 12-year-old Singleton of Glen Ord. Return to the train for a late lunch. Alternatively, disembark in Nairn to visit Cawdor Castle, home of the Thanes of Cawdor since 1370, and enjoy a stroll through the beautiful gardens. Following lunch at the castle, travel through Inverness to rejoin the train in Garve. Back on board, enjoy the train’s surroundings on the way to Kyle of Lochalsh, one of the most scenic routes in Britain. The line passes Loch Luichart and the Torridon Mountains, which geologists believe were formed before any life began. Travel onward through Achnasheen, and then commence the climb to Luib summit and Achnashellach Forest before descending to Strathcarron. The train then follows the edge of Loch Carron through Attadale, Stromeferry and Duncraig, before skirting the picturesque fishing village of Plockton en route to Kyle of Lochalsh. A formal dinner is served, after which you are invited to retire to the Observation Car for coffee and entertainment. Depart Kyle as breakfast is served. Have your cameras ready for the views of Plockton, where you can see whitewashed cottages with fishing boats and yachts riding at anchor. Enjoy lunch on the way south to Carrbridge. Disembark to visit Glenlivet Distillery, home of the iconic malt that inspired the Speyside region. Alternatively, spend the afternoon at Ballindalloch Castle, one of the most romantic in Scotland. You could also spend the afternoon playing a round of golf on Ballindalloch’s private course. Return to the train at Boat of Garten on the private Strathspey Railway and enjoy a relaxed, informal dinner. Afterwards, re-live a little of Scotland’s rich past and its colorful heroes in the company of our Highlander. After breakfast, travel by coach to Rothiemurchus Estate in the heart of the Cairngorms National Park. Choose from a number of country pursuits including fishing, clay pigeon-shooting and an estate tour. Return to the train in Kingussie and enjoy a leisurely lunch during the journey south through Blair Atholl and Pitlochry to Dunkeld. Disembark to visit Tullibardine Distillery in Blackford village. Join an in-depth VIP tour led by the distillery’s master blender, offering nosing straight from the cask, a tour of the bonded warehouse and a tasting of a range of vintages. For non-whisky lovers, there is a unique opportunity this afternoon for a private visit to nearby Glamis Castle and its beautiful gardens. Glamis is seat of the Earl of Strathmore and Kinghorne, and childhood home of the late HM Queen Elizabeth, The Queen Mother. 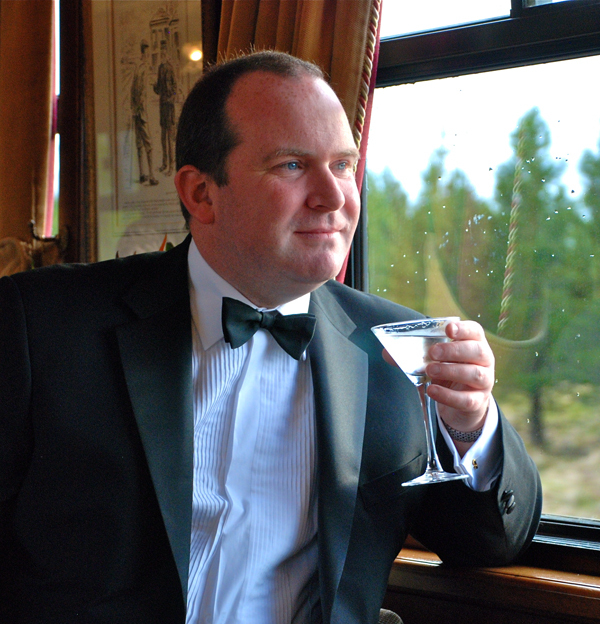 Re-join the train in Perth, and prepare for a formal dinner en route to Dundee. The infectious beat of the music tonight may inspire you to join in some lively Scottish country dancing, a fitting finale to your journey. Alternatively, round off your trip with an informal sampling of the Society’s whisky range at the bar. Breakfast is served as the train leaves Dundee and crosses the Tay Bridge into the former Kingdom of Fife. Disembark in Edinburgh. You are invited to accompany your SMWS ambassador to visit the Society’s rooms in Edinburgh’s elegant New Town for morning coffee and a final sampling in the Members’ Room. For approximate exchange rates, visit http://www.xe.com. Please note there are a limited number of single cabins (without single supplement) on every Belmond Royal Scotsman departure. Contact us for pricing for sole occupancy of twin cabin. Pricing varies based on availability and date. Prices are subject to change daily. Contact us to confirm pricing and availability for your desired departure. Note: All prices are per person and include all table d’hôte meals, all alcoholic and other beverages, all sightseeing excursions as shown in the itinerary and accommodation on board based on two people sharing a twin compartment or one person in a single. The Society of IRT highly recommends extending your stay with our preferred hotels in Edinburgh or the rest of the UK, and with our wonderful local guides and drivers. Please inquire. 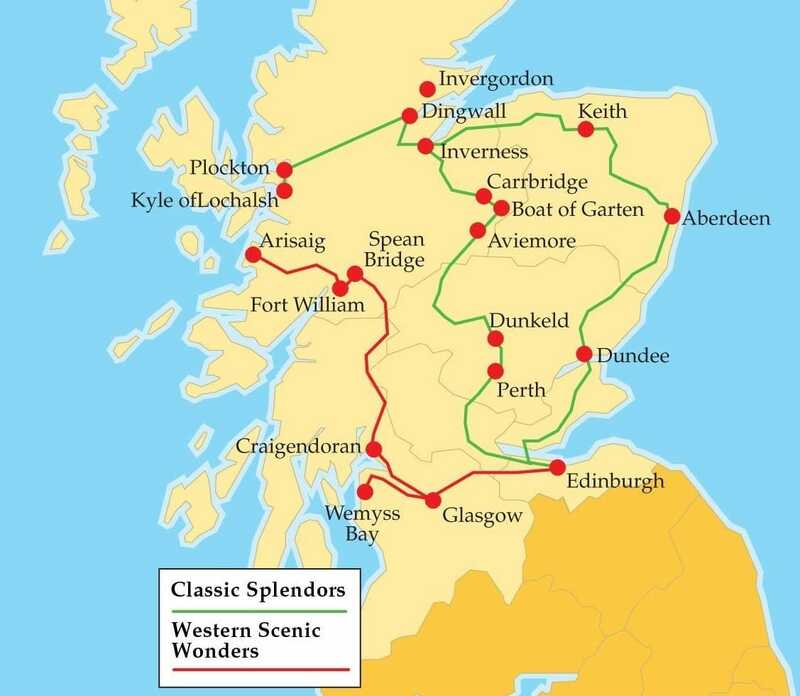 Greater Savings on Longer Tours: Book the Grand Western Scenic Wonders Tour (combines Scotland’s Classic Splendors and Western Scenic Wonders itineraries) and save! Booking at the last minute? Ask us about special offers on selected dates.